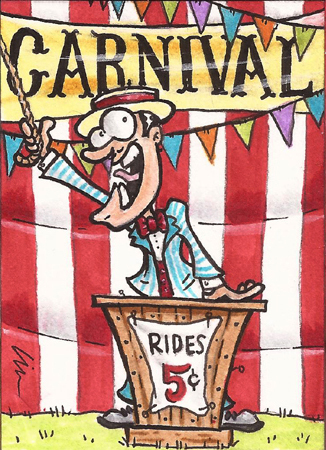 Was updating my website’s galleries and realized I hadn’t done a full post on my sketchcards for the recent “CARNIVAL” set by Viceroy Cards. The set’s on sale exclusively through Blowout Cards and SolarFly Cards and the theme is based on old carnival sideshow “freaks”, oddities, and acts. I did 25 sketchcards for this set. Some were done in B&W/sepia tones in a realistic style. Others I did in a colorful cartoony style. The cardstock is THICK! 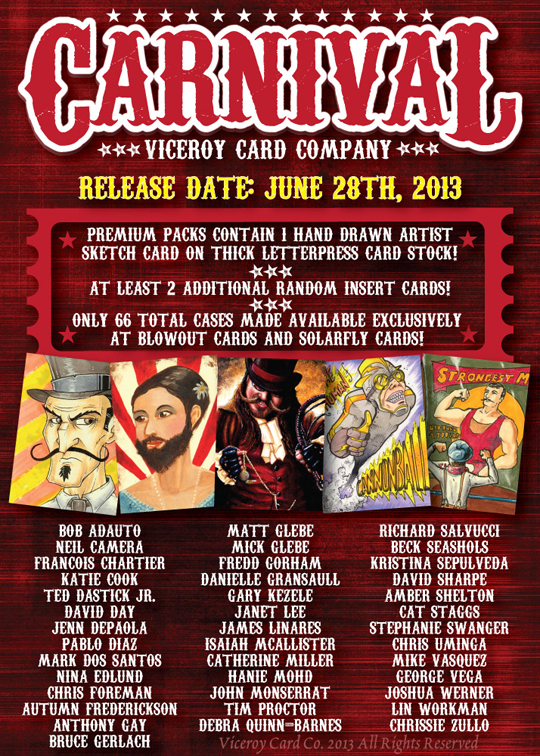 Each hand-drawn sketchcard is signed on the back. I’ll have 5 artist returns available for sale on my site soon. 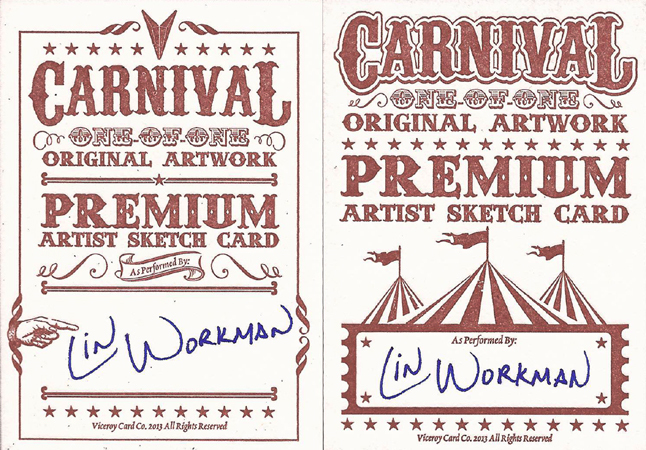 You can see all of my CARNIVAL sketch cards here. 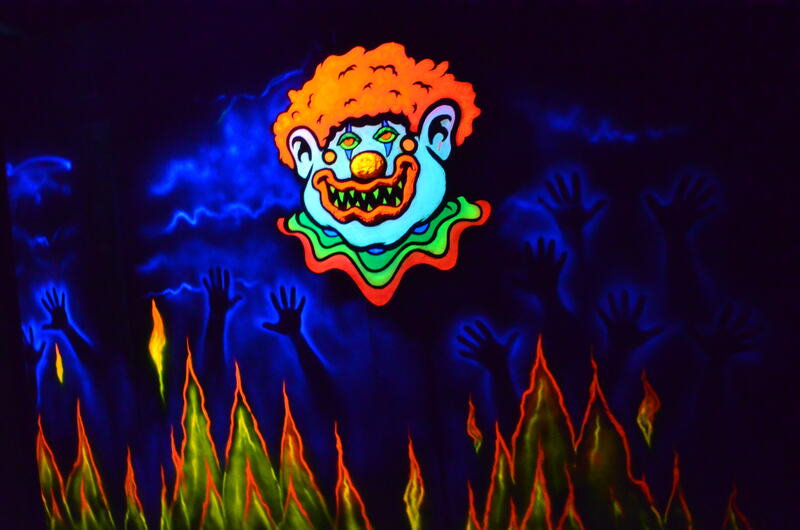 Speaking of carnival sideshows- this fall be sure to check out Haunted Web of Horrors‘ 3D carn-evil “Dark Matter” haunted attraction in Memphis. I did a lot of ChromaDepth® 3D sets for it. This haunt is actually 2 haunts in one (3D Dark Matter and Tortured– an asylum). 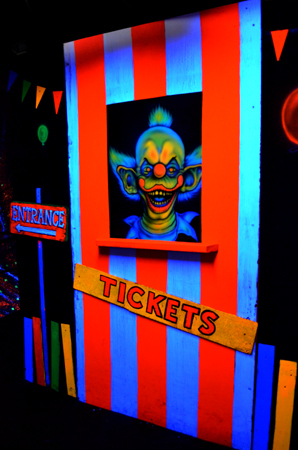 Admission is $10 to an individual haunt or you can purchase a combination Scream Pass ticket for $18. Don’t want to wait in line? Then purchase an R.I.P. Pass. This pass costs $30 and allows you to move to the front of the line at both haunts! 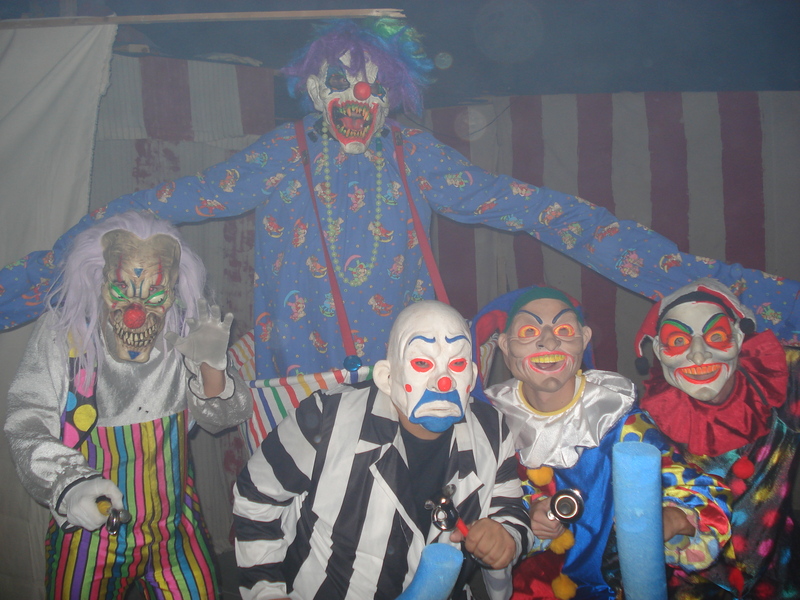 Haunted Web of Horrors has been voted the best haunt in Memphis by About.com, and benefits Youth Villages.